About Gallery Amenities Floor Plan Plant Life What’s Nearby? 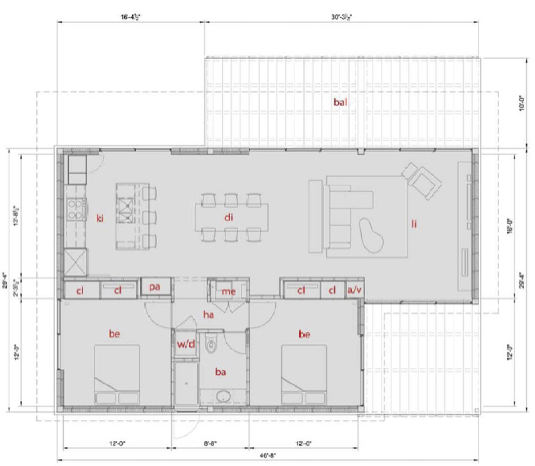 TGR’s 1,200 SQFT floor plan features two nicely sized bedrooms, a shared bath, and large open living-room / dining room / kitchen combination. The front of the house opens up to a 300 square foot cantilevered porch which is partially shaded by the roof overhang. The rear of the house has an additional 144 square feet of outdoor space on the back.